Airedales and other terriers are very smart and personable dogs. 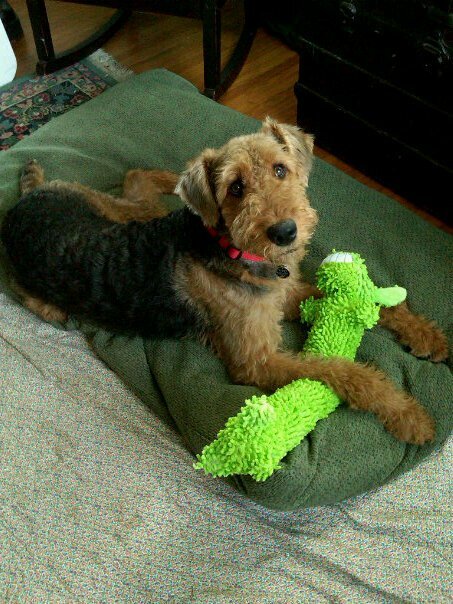 A trained Airedale could become the best friend that you will ever have. Keep your sense of humor and a consistent set of rules for your dog, and you will be rewarded with a companion without compare. However, they are not dogs that should be left to their own devices. You could be quite surprised at their ingenuity.You must be as smart, patient and assertive as the friend you are choosing. I submitted an application last week, but didn’t receive confirmation that you got it. Wanted to follow up to be sure you have it! 08/25/17: Bay Yager replied to them.